Family of World War II pilot killed in action receives posthumous medals of honor. This Memorial Day the family of a World War II pilot shot down while flying over Japan was honored in Onawa, Iowa. Captain Odell Woods was killed 73 years ago while piloting a B-29 over Tokyo Bay just a few months before the end of the war. 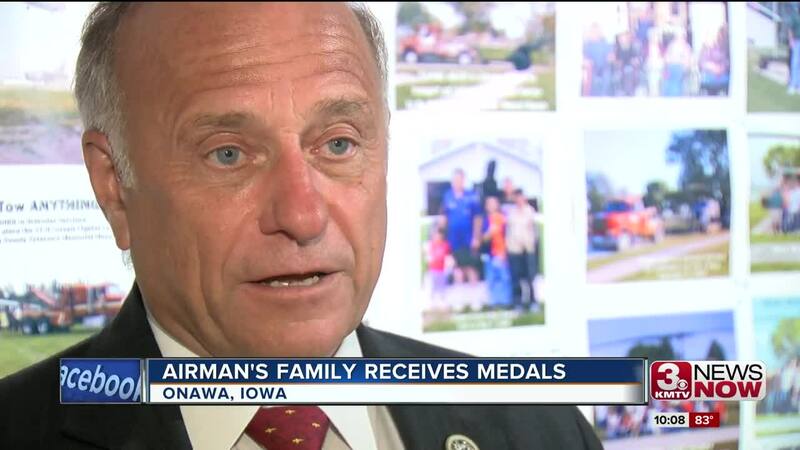 Congressman Steve King presented the family Woods' posthumous medals, including a purple heart. Family of Woods traveled from as far away as Florida to be at the ceremony.